Enter now the BriefTake Contest for your chance to Win Star Trek: Stardate collection on Blu-ray. Entry to this contest is open only to legal residents of Canada and the US. To enter you simply have to visit the official contest web page and complete the online entry for with your name, last name and email address. To get an additional entry, visit the Brief Take’s official Twitter account, follow it and retweet the post promoting this contest. Entries to the contest close on February 5, 2019. Winner will be selected by a random draw from among all eligible entries. 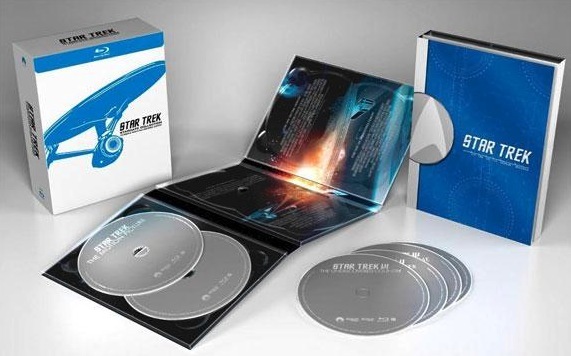 There is one Prize available to be won, it consists of the entire Star Trek: Stardate collection on Blu-ray. The BriefTake Contest begins on January 28, 2019 and ends on February 5, 2019.